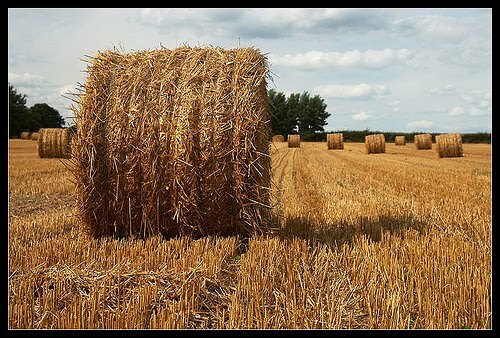 I loved driving through Ireland's countryside and seeing the bales of hay. It's been in the 90s here, so it doesn't feel like fall yet. When my youngest went to kindergarten, I was aimless. I missed her (crazy me), so I didn't treasure the time and write. In addition, I wound up helping out in her class. Now when I have a day off, and the kids are at school, I spend it writing. I hope you have a relaxing, productive autumn, Barbara! Although autumn is not my favourite season, it has its own magic and I always think I'd hate to live in a country that didn't experience the changing of the seasons. I agree that time for yourself is so very important and that's where being a granny is great. Although the housework, garden and pets etc. do need looking after there's still loads of time left to just sit and let life pass by. Morning is my writing time too. As the day wears on and demands become more insistent my head spins and not in a good way. I think this is good advice for women who also work out of the home. Take an hour for yourself in the day to do what you want to do, or need to do to make you happy. Brilliant post, it's so easy to feel guilty for taking time during the day as you often forget how long your 'working day' goes on for, and that you never, ever go off duty. Not many jobs are 24/7! Autumn sings to me – the colours, the fresh smell in the air, the chill of the mornings and the surprising strength of the sun… it is definitely my favourite season. And I think you are so right in this post. When I was self-employed and worked from home, I found my writing time being eaten up by partner/relatives wanting me to 'just pop here', or do that washing 'as I'm at home', or cleaning, or a myriad of other things that kept me from doing what I had to do. It is very hard to set those boundaries without a contract. 🙂 I think next time around I will draw one up! I think it is good advice as Ann says for all women, we do need to find an hour for ourselves. I am not particularly good at it myself, I always feel guilty with too much time on my hands so tend to fill it. Since I gave up teaching and started to write my biggest problem has been my mum. She can't understand that being at home means that I'm working. She thinks it means that I am 'available' for errands, visits etc. I'm not saying I don't want to visit my mum but I'd love her to value and recognise my writing time. Brilliant post. Your point reminded me of Shakespeare. Have just downloaded Hamlet to my iPad (on the Leaving Cert for next year) and am reminded of Polonius' advice to his son – 'to thine own self be true, and then as night follows day, thou canst not then be false to any man'. I rest my case! Thanks Theresa for the good autumnal wishes.. Nor – yep I know as the years go on I will (hopefully) have some more time for stuff! Brigid – guilt – one of the worse emotions to burden yourself with.. but I agree its a hard on to break! NIamh – love the idea that between 10am and 12noon is sacred! Rosalind – your problem is so common. People do see writing as some kind of useless indulgence. Padraic – there you are… bringing Shakespeare and an iPad with you. How appropriate!!! I so agree that the mornings can be a sanctuary for mums that write. I am getting used to the idea that my two are too grown up now to need me much at all, and with a recent loss of job my whole day can be devoted to my freelance work, writing, reading and learning new skills. Now I just need some money and I can stop feeling guilty!